Our meeting rooms in MediaCity and London have something in common, despite being 170 miles apart – they both give you a meeting room with a view. More specifically, they both have views out over the water, something in high demand in city locations, and a breath of fresh air compared with some stuffy windowless meeting rooms you find in city centre tower blocks. 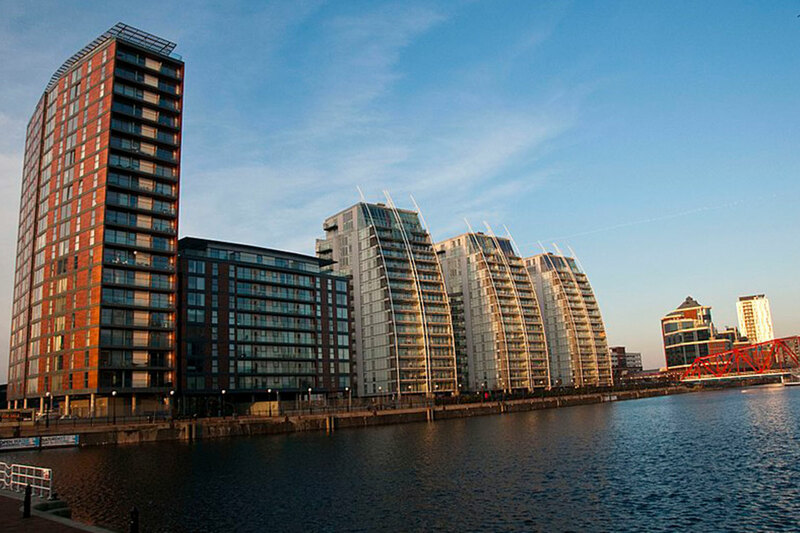 You’ll find our meeting rooms in MediaCity on Clippers Quay, just across from our Manchester meeting rooms on Exchange Quay, so whether you opt for the M5 or M50 postcode, you’ll be right on the water. Meanwhile, our meeting rooms in London are on the Isle of Dogs with views of the iconic River Thames to the south, west and east – arguably the world’s most famous river meander – and Canary Wharf to the north. Our London meeting rooms give you a business building with an E14 postcode and easy access from the Canary Wharf Tube stop or Crossharbour rail station, as well as all the usual links with Central London and beyond. You’ll find us at Davenport House, a stunning central location on the Isle of Dogs with an outlook over the Millwall Docks and nearby parking, with approaches along the North Bank of the Thames. There’s another link with our meeting rooms up north here too, as if you look to the eastern perimeter of the Isle of Dogs, you’ll see the A1206 – better known as Manchester Road. If our London meeting rooms give you plenty to look at, then our meeting rooms in MediaCity and our neighbouring Manchester meeting rooms definitely hold their own too. Clippers Quay and Exchange Quay are right next to each other, despite the very different M5 and M50 postcode districts – the latter of which was created quite recently as part of the regeneration of Salford Quays and especially the MediaCity area itself. To get to either location via the MetroLink tram service, you’ll need the Exchange Quay stop – and you’ll already pass plenty of open water on the way. From the MediaCity end of the MetroLink, it’s within easy walking distance, but if you do choose to take the tram, look out for the television studios and Imperial War Museum North as you board. Alternatively from the Manchester end, you’ll gradually see more open water – first the Castlefield canal basin, then Pomona Strand – as you get closer to our Manchester meeting rooms in their location on the quays. Finally, if you are booked into our Clippers Quay meeting rooms, it’s worth taking a walk down to the end of the quay to see if you can spot the local landmark of Gnome Island. This is important enough to the local landscape to feature on Google Maps – and as we’ve mentioned before, it makes a great icebreaker if you want to open a meeting on a slightly lighter note.